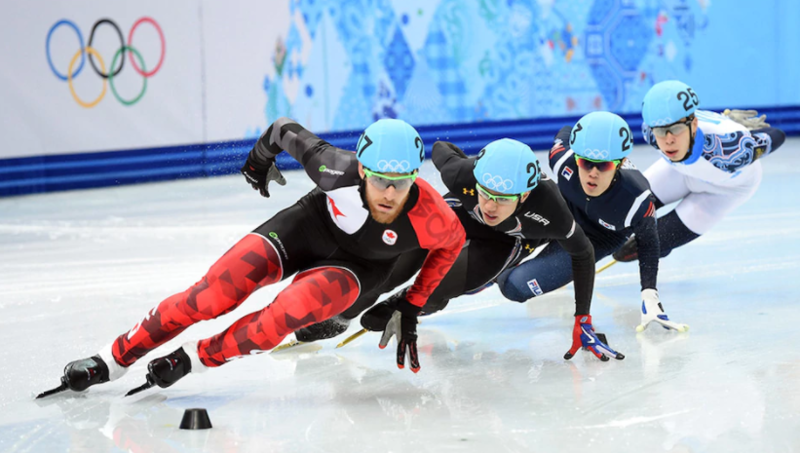 With the approach of the Winter Olympics, people around the world will be watching amateur athletes compete at the highest level. They have given up normal social activities. They have given up junk food eating. They have given up time with their friends and families. They have given up not feeling pain (because there’s always some discomfort – at least – in physical training). They have given up time in school. They have given up career advancement. For a short time each of these competitors will be on the world stage. Millions of people will be watching them, feeling their joy and agony, their suffering and exhilaration. Why do so many people watch these games? Or any sports, for that matter? There are myriad reasons, but at least one reason is because we wish we could achieve those same kinds of results. It’s a combination of respect, mixed with some envy. The thing is, all those viewers, while living vicariously through the wins and losses of their favorite athletes, forget their own areas of mastery. Take a look at yourself. Where do you have some mastery? What do you do so well, people come to you and ask for your advice or help? Really? I am quite sure you either have – or could have, with some perseverance – a skill that would be valuable to yourself, and to others. Are you keeping this skill hidden? Does anyone else know about your level of expertise? Or do you not have enough confidence in yourself to share it yet? Here’s the secret that all accomplished experts – in any field – already know: Confidence comes with competence. But your confidence is actually born out of being able to do something well first, without having to think about it (“unconscious competence”). These are areas in which I have spent hundreds, in some cases, thousands, of hours studying, learning, experimenting, failing, and ultimately succeeding. Recognizing that we all can and should continue to improve, pick an area of your life – it could be business, or relationships, or finance, or almost anything – where you desire to be a better version of yourself. Identify WHY this area of your life is important to you, why it’s important to become confidently competent. Keep this vision of WHY directly in front of you, to keep you motivated. Then create a step-by-step plan to get better. Take advantage of all the freely available resources you can get your hands on, to start, and then see if you need to invest in additional resources. Then… go do it. Return to your WHY frequently, when you stumble. Then pick yourself up, and get back to it. I’ve been constantly learning and growing myself for the last few years. I surely have had my share of stumbles… But I kept my WHY in front of me (that’s for another post), and kept moving forward. Now I am confident in my competence. So what area of your life are you going to work on? How will that confidence help you? Deborah Owen is a copywriter, best-selling author, award-winning podcaster, and content marketing specialist. Having worked with some of the most successful internet marketers today, Deborah is also the only copywriter who can combine her years of experience as a librarian, with the couple of years she spent working with one of the stars of The Secret movie, and with Tony Robbins’ coaching trainers. She really knows how to get inside your clients’ heads, so they can’t wait to work with you!